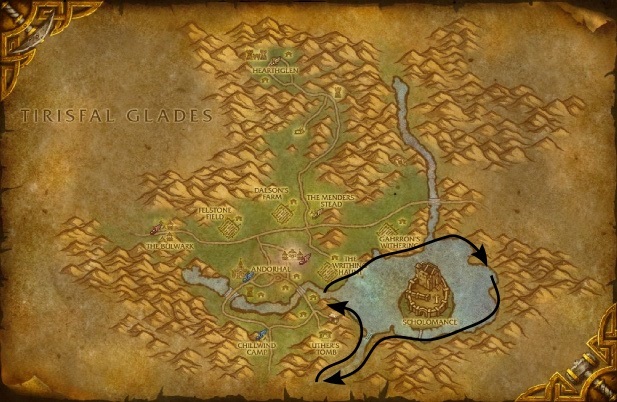 The Plaguelands, originally called the Eastweald, and sometimes including all of the Northlands (that is globally composed by the northern regions of Lordaeron), are the regions that were most corrupted by the Scourge during the Third War.... 13/09/2018�� The Eastern Plaguelands is the more heavily devastated half of the Plaguelands that were once known as the Eastweald, and it was part of the Kingdom of Lordaeron. They are located east of the Western Plaguelands, north of the Hinterlands, and south of the Ghostlands. The Eastern Plaguelands were once a series of farmlands, and villages on the road to the bustling city of Stratholme. During the Third War however, the region suffered catastrophic blows, first with Arthas' slaughter of the citizens of Stratholme, and then with the arrival of the Scourge.... The Eastern Plaguelands are the most heavily devastated half of the Plaguelands, the remnants of the Kingdom of Lordaeron. The Eastern Plaguelands are located north of the Hinterlands and east of the Western Plaguelands. 25/08/2011�� I just wanted to share a little neat trick i found while leveling my archaeology in Eastern Kingdoms from 1-525. Since i am alliance i would start my "day" in stormwind (grom'gol for horde), usually getting the troll/dwarf/fossil dig sites in STV and other Zones to the south of stormwind. how to get rid of smell from pork Comentado por ChillingOut Awesome place. I love the Plagueland zones! So much character, and many Undead mobs! Great place for a Paladin like me and if you have played Warcraft 3 and know how the Plaguelands came to be. 11/03/2008�� Best Answer: There's a path there from the Hinterlands. Get to the hinterlands alliance town then travel east-northeast. You can also get there from Trisfal glades. Head east. The Plaguelands, originally called the Eastweald, and sometimes including all of the Northlands (that is globally composed by the northern regions of Lordaeron), are the regions that were most corrupted by the Scourge during the Third War. 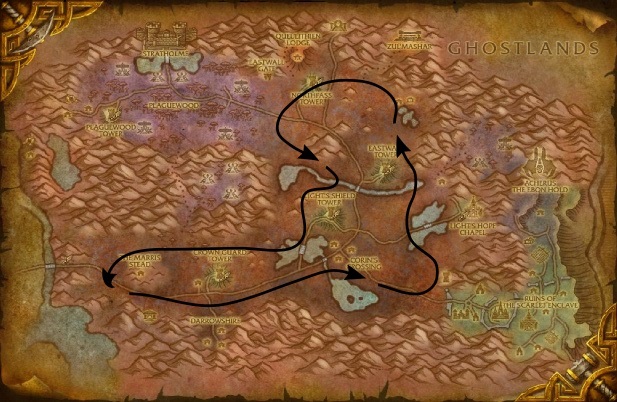 Comment by iranou Easiest way to get to Western Plaguelands (if you haven't got flight path to Arathi) is by portal via this quest in Booty Bay, which is easier to reach from Stormwind, or by boat from Ratchet.